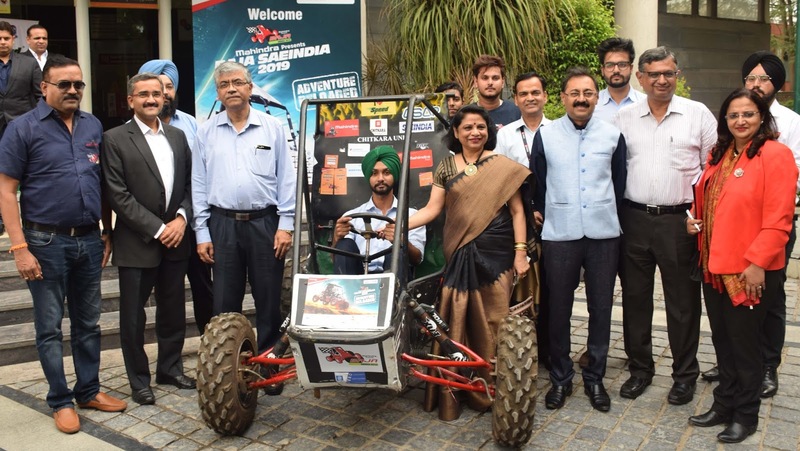 Chandigarh 12th July:- SAEINDIA, a professional Society of Automotive Engineers and Mahindra & Mahindra Ltd, a part of the US$ 20.7 bn Mahindra Group today announced the commencement of the redesigned Virtual Round of BAJA SAEINDIA, which will be held between July 13 & 14, 2018 at Chitkara University, Punjab. This also kick starts the 12th edition of the much-awaited BAJA series with Mahindra as the title sponsor. With around 360 teams from various engineering colleges of India, 5 students from each team totalling over 1800 students, the battlefield is a fertile ground for these students to come up with their ideas. In these two days, the registered teams will be scrutinized for their knowledge and capability to participate successfully in the main event. Like last year, all the teams at the Virtual BAJA 2018 will make a presentation on their design, followed by a VIVA or Extempore, which will carry equal weightage in their final selection. The evaluation process will test every participant’s knowledge on Rulebook and General Mechanical and Automotive Engineering. 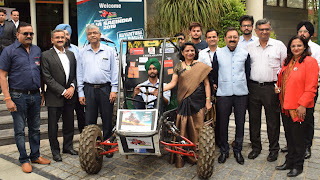 Based on the performance in Virtual BAJA, the teams will be selected for participation in the main event, scheduled to be held in Punjab and NATRAX facility of NATRIP, Pithampur near Indore. In India, the BAJA SAEINDIA (Society of Automotive Engineers) began its journey in the year 2007 and was launched under the leadership of Dr. Pawan Goenka (during his tenure as SAEINDIA President) and the convenorship of Dr. K.C. Vora. As SAEINDIA ventured on to the unchartered territory of holding a mega-event of this scale, NATRiP came forward to lend a helping hand through an earmarked zone at its upcoming proving grounds- NATRAX, situated at Pithampur, Indore. Similarly, IIT Ropar came forward to organize the 2nd leg of BAJA SAEINDIA 2018 at Roopnagar. Speaking on the occasion, Subodh Morye–Head Marketing & PR BAJA SAEINDIA said that we are delighted to announce the 12th edition of BAJASAEINDIA 2019. Events such as these help build and nurture the acumen of young engineering talent in maths, science,and engineering. Additionally, we are also happy with the encouraging response for eBAJA. Speaking at the conference, Dr. Madhu Chitkara, Vice–Chancellor Chitkara University said that she is ecstatic to see that over the years, BAJA SAEINDIA has grown in popularity and has become a bigger event nationally signifying its increasing popularity. She has seen the enthusiasm of students who have been participating in this competition. She must say BAJA SAE is the most popular platform in India for young engineers to demonstrate their team-work and engineering skills. We are glad to extend our support in providing industry-ready engineers to the Automobile industry through this competition and look forward to continue supporting BAJA SAEINDIA. BAJA SAEINDIA tasks the students to conceptualize design, build, test & validate a single-seater four-wheeled All-Terrain Vehicle (ATV) to take part in a series of events spread across a course of 4 days. The finale will be held at the NATRAX facility of NATRIPat Pithampur near Indore, from 24th to 27th January 2019 followed by HR meet on 28th & 29th January 2019. There will be one more event in Punjab from 8th to 10th March 2019 followed by the HR Meet on 11th March 2019. A remarkable feature unique to BAJA SAEINDIA is the adoption of a new theme every year. This year the theme for BAJA 2019 is ‘Adventure Reloaded’. The passion, hard work and perseverance of the budding engineers, who start their journey from scratch and traverse throughout the year to come up with their dreams converted into reality, the fervour to take up challenges and ability to maximize efforts are rightly justified by this theme. It will drive the standards and boundaries of their capabilities to new scales and at the same time prove BAJA to be a ground of glory.